Now that many of us are able to work from anywhere with a decent Wi-Fi connection, we’re carrying our laptops and electronic gadgets more often. Whether you’re traveling for business or for pleasure, you need to keep your electronics well protected with a bag that has a laptop sleeve and other functional features. 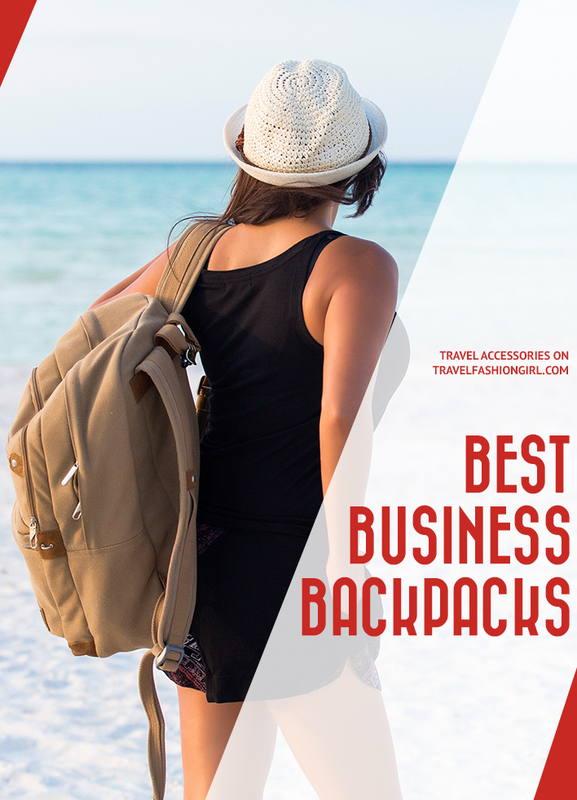 Read on to find out our best business backpacks! It doesn’t take long to realize that distributing weight evenly across our backs results in less pain than struggling to lug shoulder bags across airports or cities. Regardless if you’re traveling strictly for business, working remotely, or like to bring your laptop wherever you go, it’s important to keep your electronics in a bag that’s practical, comfortable, and suitable to your needs. Read my over-the-top tips about how I protect my laptop while traveling! 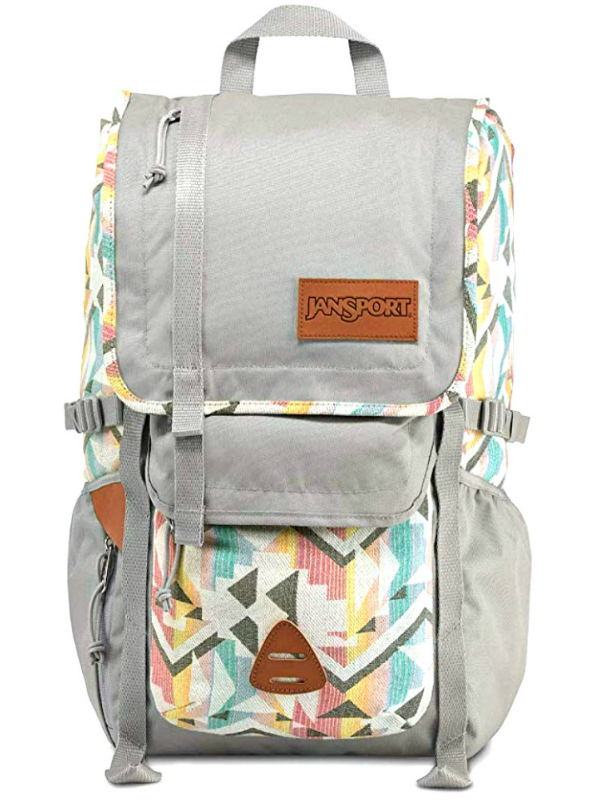 Jansport’s come a long way since you went to school! 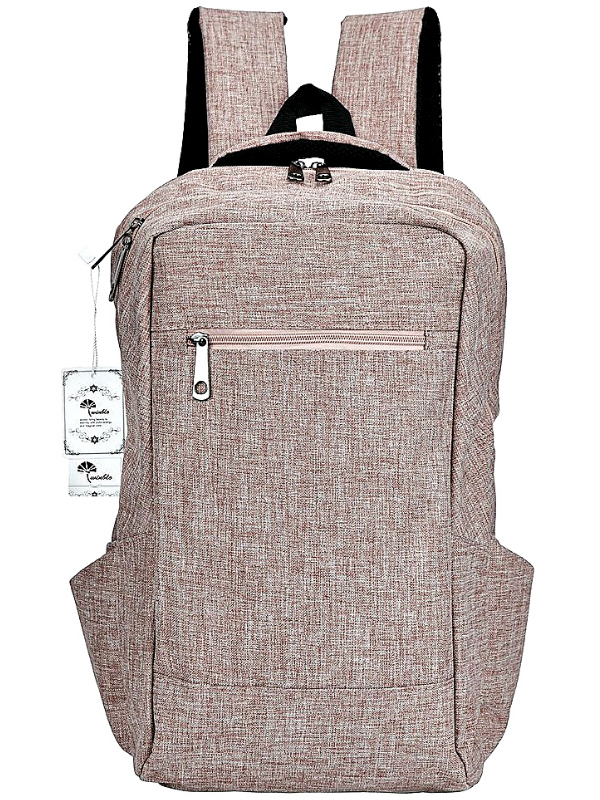 This adorable laptop backpack is very spacious and has enough room for a long weekend or for a minimalist traveler. The features are incredible, with various interior and exterior pockets, two water bottle holders, an organizer panel, and a tablet pocket as well – extremely handy for the gadget-conscious traveler. Watch this review of a Jansport backpack and read here where I show you how I traveled for four weeks with just this backpack and a purse!! It has a 15-inch padded laptop sleeve and comes in a wide variety of colors. Great for digital nomads, too! An easy access, locking front compartment and organizer includes a zippered RFID blocking pocket. Anti-theft features have slash-resistant construction, locking compartments, and slash-resistant adjustable straps that will keep you and your belongings protected. 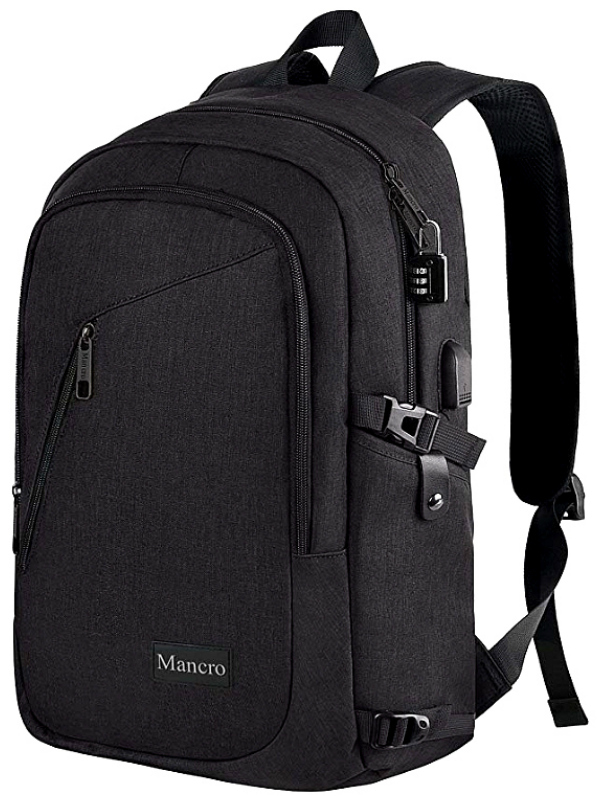 With its impressive list of features as well as its sleek black look, this Travelon anti-theft heritage backpack will quickly become a travel favorite. If you’re headed on an adventurous trip but still need to work on the go, this latest backpack by Travelon has a sporty look with all the practical features you need. 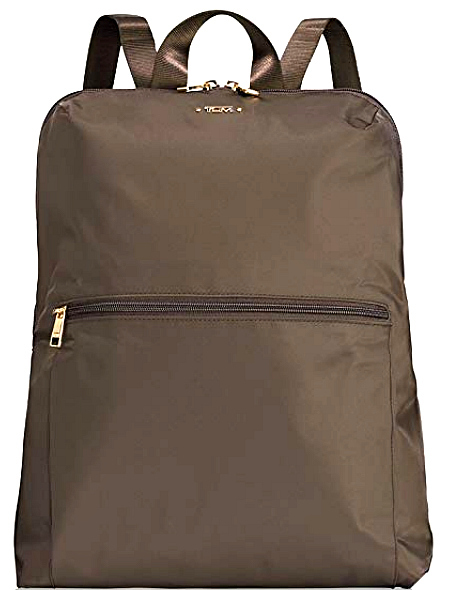 It measures 19.5 x 5.5 x 12, fits a 15.6-inch laptop and has water-resistant nylon fabric to keep your gear dry. Take a look at the best anti-theft accessories for travel! 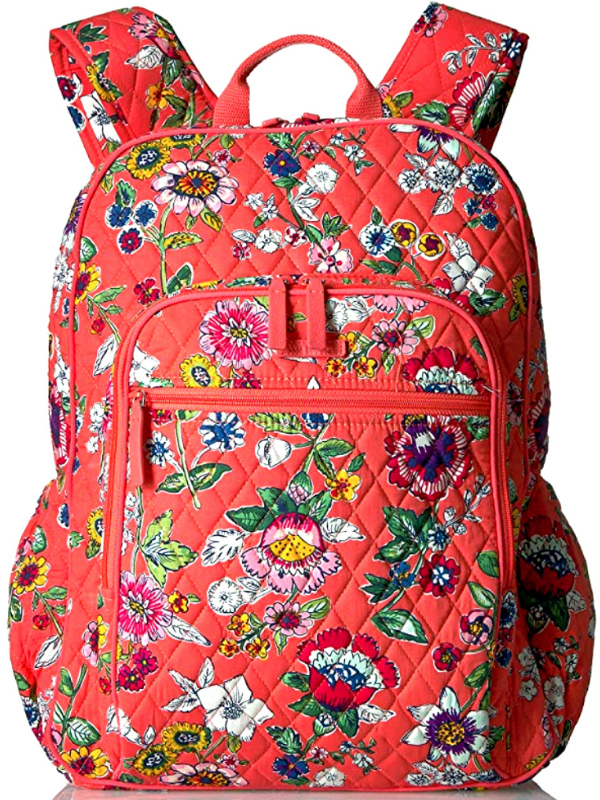 For travelers who prefer something more whimsical and lighthearted, Vera Bradley usually does the trick. There are 30 color and pattern variations available, too. The different styles vary in features a bit, so check to be sure your favorite color has what you need. Some offer trolley straps to fit over your carry-on bag handles, and most have bottle holders on the side. 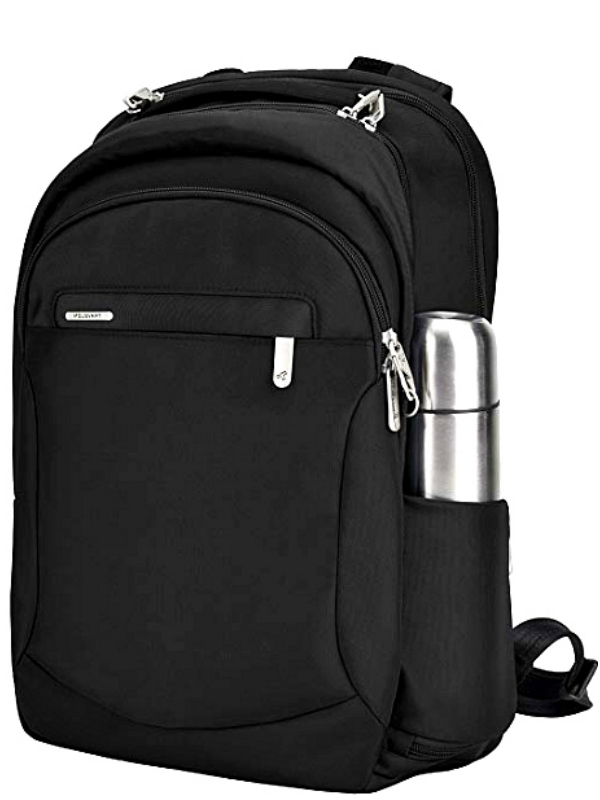 These bags feature a sturdy padded laptop/tablet compartment and measure 12 x 16 x 7.5. At 1.5 pounds, they’re ultralight and packable, too. 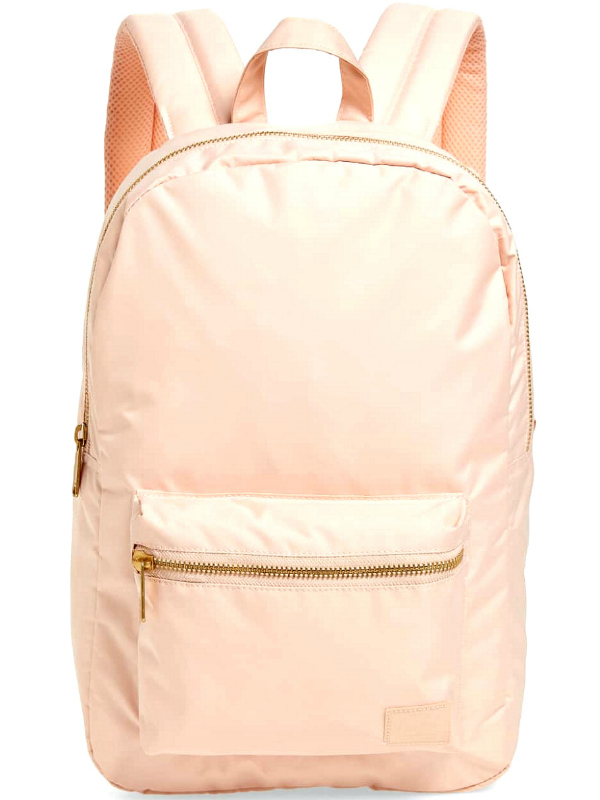 Take a look at these cute backpacks for women! If you’re worried about security, it’s hard to beat a Pacsafe bag. They all have multiple anti-theft features, such as slash-resistant steel mesh concealed in vulnerable areas and an RFID guarded pocket that protects against identity theft. The Intasafe is trim, features bottle holders on both sides, and is available in charcoal and navy canvas. There’s a tablet sleeve as well as a 15-inch laptop sleeve. It measures 12 x 18 x 6 and weighs a little over 1 pound. For more security conscious travelers, take a look at this list of “theft-proof” bags for travel! 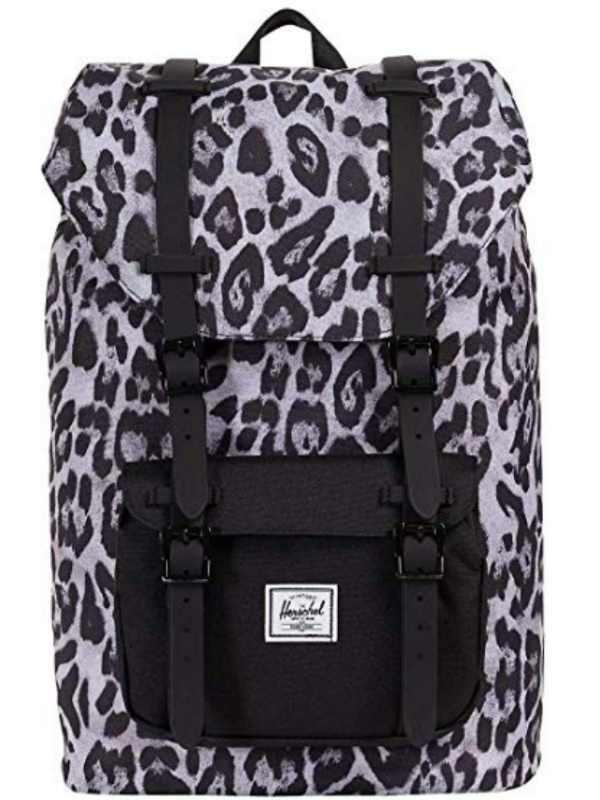 Herschel offers a wide range of colors and prints in a classic backpack style. This is a good option for more casual travelers who work in coffee shops or co-working spaces and find themselves in a more relaxed business setting. As a bonus, you can also use it as a day pack, too. Because of the lightweight canvas material, it can easily be packed into your luggage when not using it. It measures 19.3 x 11 x 6.3 inches and weighs 2.3 pounds. A sleek travel backpack that protects electronics and includes a PowerPocket to manage cords between your device and mobile charger. 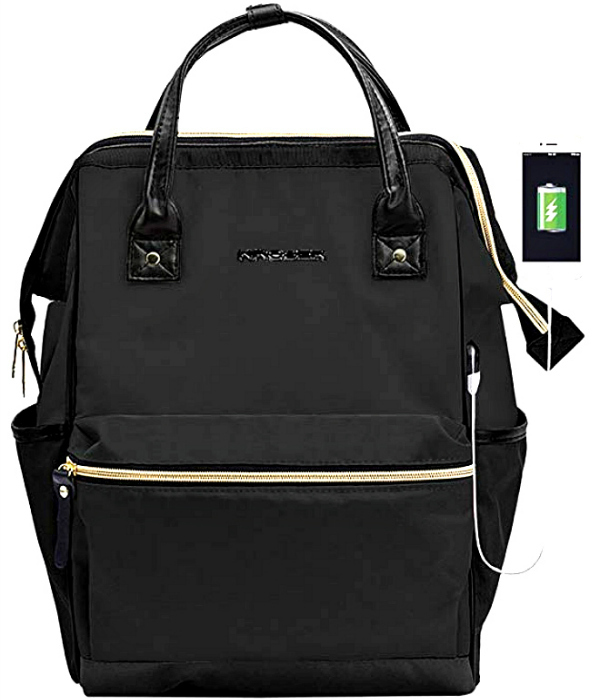 Perfect for digital nomads and business travelers who want to protect their electronics and also have additional room for some of their personal belongings. 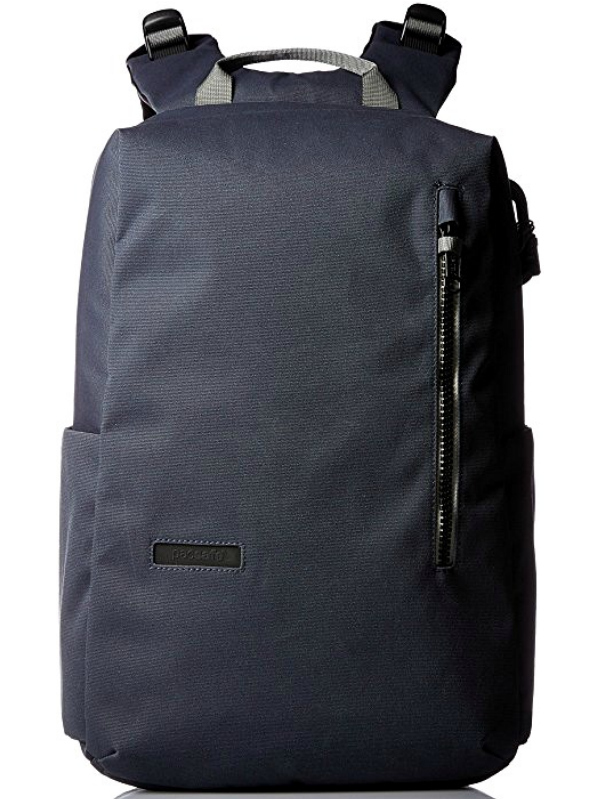 This stylish nylon backpack is durable, breathable, AND waterproof! With that said, it’s well-suited to outdoor travel (while also working beautifully in the city), while the padded laptop sleeve makes it practical when you’re working on the go. I own this bag and love how cute and functional it is, especially the water-resistance for my electronics. 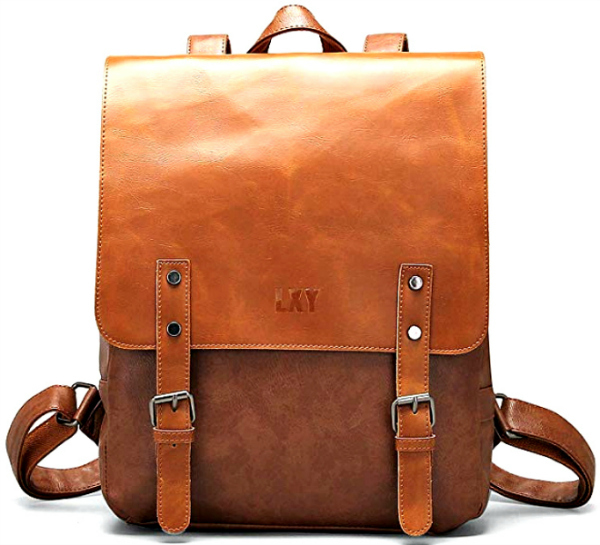 We love a leather backpack – it’s classic, elegant, and effortlessly cool. A unisex style like this one by LXY will never go out of style. With its vegan leather material and adjustable fit, this is a stylish pick that is both practical and ethical. It measures 15.7 x 11 x 3.9. For a more budget-friendly option inspired by this look, try this! For something more traditional, here’s a sleek, slim backpack that’s organized so efficiently that you can still fit in most of what you need. There’s a slot for both tablets and laptops plus a USB port for on-the-go charging. Concerned about theft? This bag is also equipped with a combination lock and durable metal zippers. There are three main pockets, nine inner small pockets, and two sealed side pockets. Organizational compartments help you keep everything in place and find what you’re looking for with ease. Its lightweight polyester fabric is also eco-friendly and water resistant! This classy-looking linen backpack is available in seven colors, helping you mix and match with your travel wardrobe of choice. Although the laptop compartment can fit up to a 15.6-inch computer, a 17-inch computer should fit in the larger section. There are handy bottle/umbrella holders on each side. Super slim and lightweight at 1.3 pounds, it should still fit everything you need at 18 x 12 x 4. Read this post to learn about day packs and why you might need to travel with one! Rolling backpacks have been around for years, but spinner business backpack options are still rare. This one has excellent storage in over three compartments, perfect for storing everything from tablets, books, pens, and so on. It also can fit most 16-inch laptops. Garment straps within allow you to pack clothes securely, while two shoulder straps let you alternate between rolling and carrying. The wheels mean it weighs a bit more, a little over 4 pounds, so it might be best for business only travel. It measures in at 15.5 x 20 x 3. Find out if you should travel with a roller bag or a backpack! 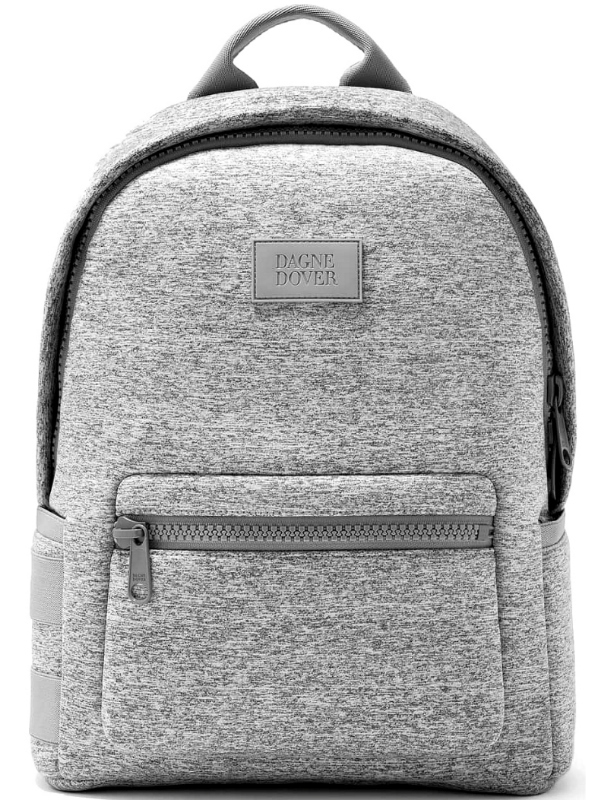 This backpack was made for business travel. You can pull out your laptop without revealing anything else in the bag. There’s a heavy-duty anti-theft zipper and a hidden pocket on the back. There’s also an elastic strap to attach the backpack to a larger piece of luggage. The bag is made from water-resistant nylon, which is a plus if you’re traveling in humid areas. A bottle holder on the side is zipped up, so it isn’t visible unless you’re using it. It can fit up to 17-inch laptops and measures 13 x 8 x 19 and weighs 2.7 pounds. 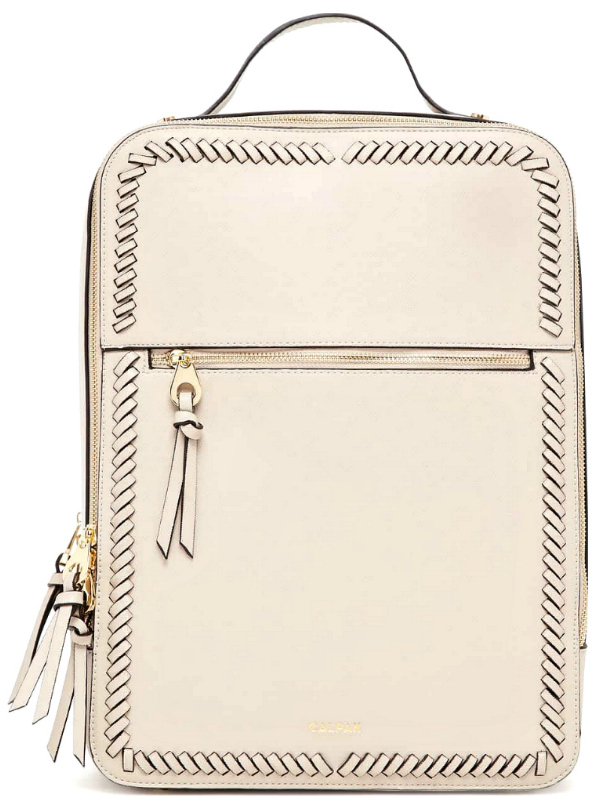 This stylish backpack hits all the marks. Perfect for both vacation and business travelers alike, it can hold up to a 15.6-inch laptop and even has a USB port for on-the-go charging. It features many interior pockets, so organization is not an issue. Two external pockets offer easy access to water bottles, compact umbrellas, or whatever you need to pack. Black fabric and gold hardware come together to create a chic, versatile piece. It measures 16.9 x 11.15 x 7.5, and weighs 1.82 pounds. 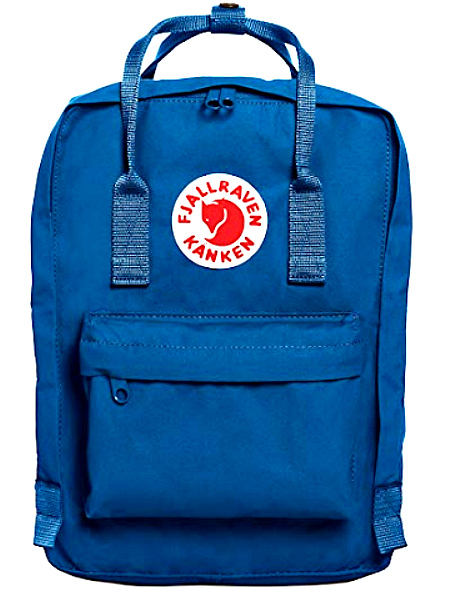 If you’re an outdoorsy type who likes to travel light, then you’ll love this packable Fjallraven backpack. It has an ultra-slim silhouette with moisture repelling fabric. There’s room in the main compartment for essentials, with lots of pockets to stay organized, and it holds laptops up to 15 inches. A top carrying handle also allows for multiple ways to transport it. You can’t go wrong with this one! Read this post for more packable travel accessories! 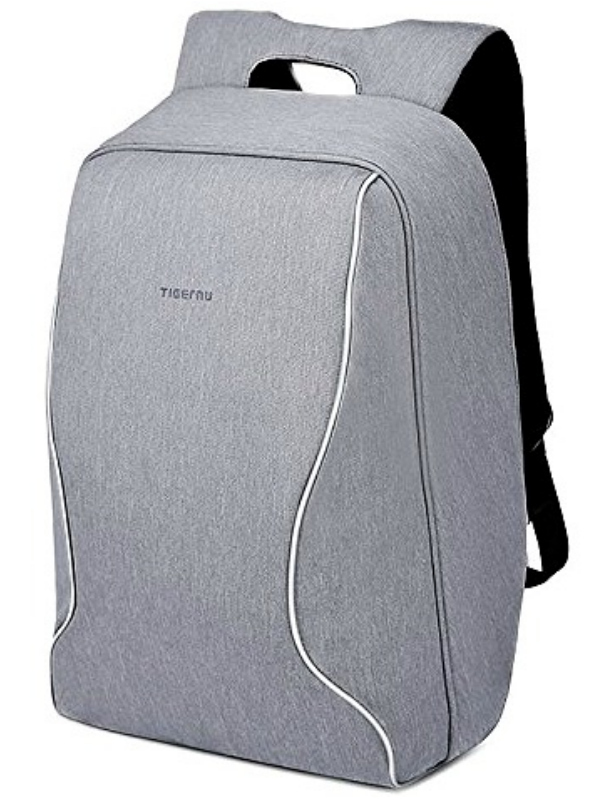 The Tumi Just In Case Backpack is lovely nylon fabric that folds flat and is super packable. It comes in several colors and has a cool, sleek and compact design. They tend to sell out frequently, so when you see one you like, grab it while you can. To determine what day pack or day bag is best for your travels, please read this post on how to choose one! This brand is blogger worthy and has various colors in its scratch-resistant faux leather backpack style. The feminine chic design wins us over and is perfect for a trip to Paris. As a plus, it’s under $100. This beautiful cream shade can be integrated into just about any wardrobe. The bag measures 15 ½ x 11 ½ x 4 ½ and weighs 2.9 pounds. 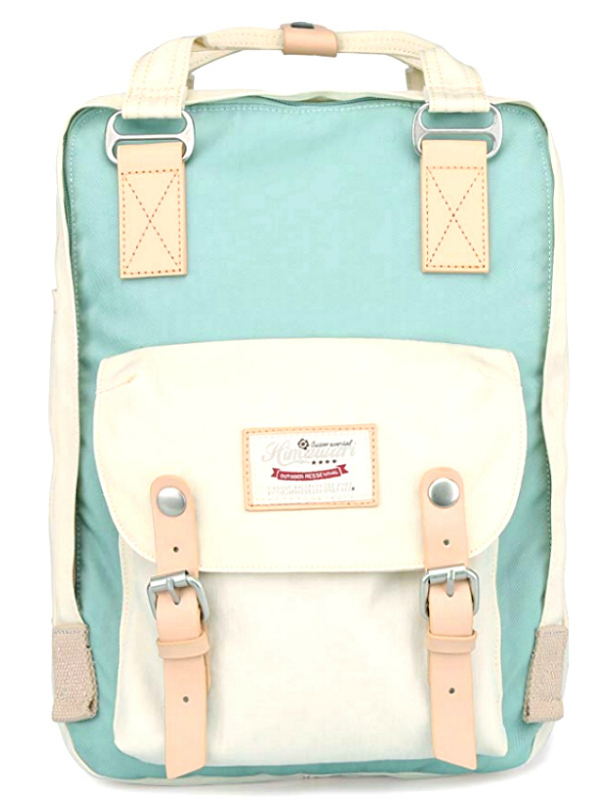 We’re big fans of the 365 Dakota backpack from Dagne Dover — there are so many cute colors to choose from! Two padded straps, a sporty neoprene fabric, and multiple exterior and interior pockets (one of which can hold up to a 13-inch laptop) makes this the perfect piece for the functional fashionista. Love it! At 15 x 12 x 5, it’s big enough for a weekend getaway, while also giving you plenty of space for all of your electronics. Another sporty-chic bag for you! This one not only has space for a laptop, but it’s also lightweight. It’s slim but fits up to a 13-inch laptop. We love how simple, stylish, and versatile this bag is. It measures 16 ¼ x 11 ¼ x 4 ½ and weighs 1.2 pounds. It’s also available in black and pale blue. 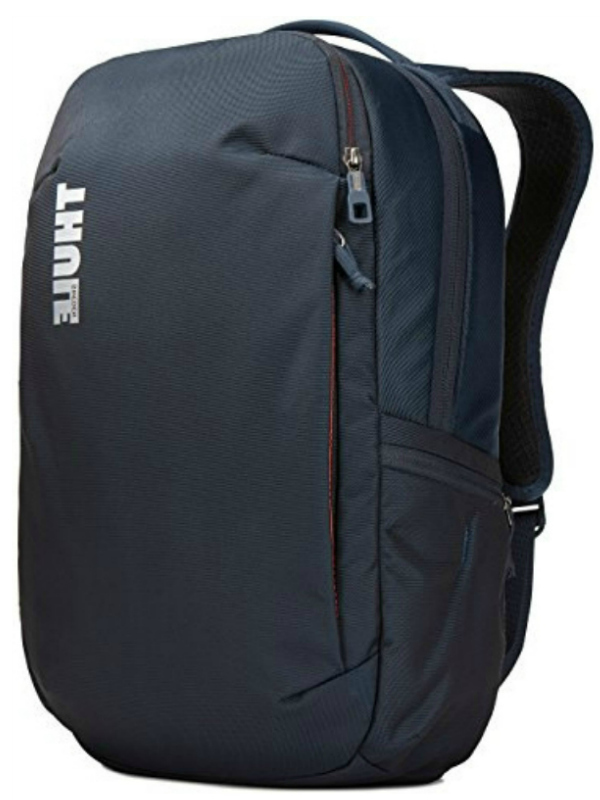 What do you think are the best business backpack brands available? Comment and share! I hope you liked this post on the best business backpacks. Please share with your friends on Facebook, Twitter, and Pinterest. Thanks for reading! 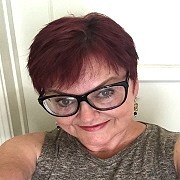 Author Bio: Rebecca is a digital nomad, making her way as a freelance writer. She sometimes blogs about her travels as MsNomadica. I have referred to this page many times, bought the Heritage Backpack, and now plan to use it….on a sailing adventure! Thanks….I continue to look up all your info now that I’m planning.